Southern Cooking has a bit of a bad rap. Butter, oil, deep fried everything, sugar coated, covered in glaze, Paula Deen - the list goes on and on. So much so that your metabolism is probably running on an internal treadmill just thinking about those calories. But that's not how I like to cook. Marrying a Southern boy has a couple of challenges in the food department - first of all, when you swear by a healthy lifestyle and your boy swears that deep-fried-anything tastes incredible - you've got some hurdles to pass. This girl aint fixin' to fry. Luckily, my Southern Gentleman is willing to compromise. I've taken on the challenge of healthifying classic dishes in order to better nourish my family - and you know what, a lot of the time, these versions taste even better! Like with the Best Scrambled Eggs Recipe, these grits have a secret ingredient that make them even creamier - and high in protein! In a medium saucepan over a medium-high heat, bring water to the boil. Add grits/hot cereal and salt and stir vigorously. Allow mixture to thicken and bubble, stirring constantly. Once almost all of the water has absorbed, reduce the heat to low and stir in the egg whites. 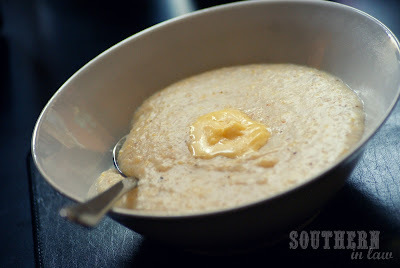 Continue stirring until the mixture is white and creamy and continue to cook until grits reach your desired consistency. Stir through 1 tsp of butter, if using, until combined. 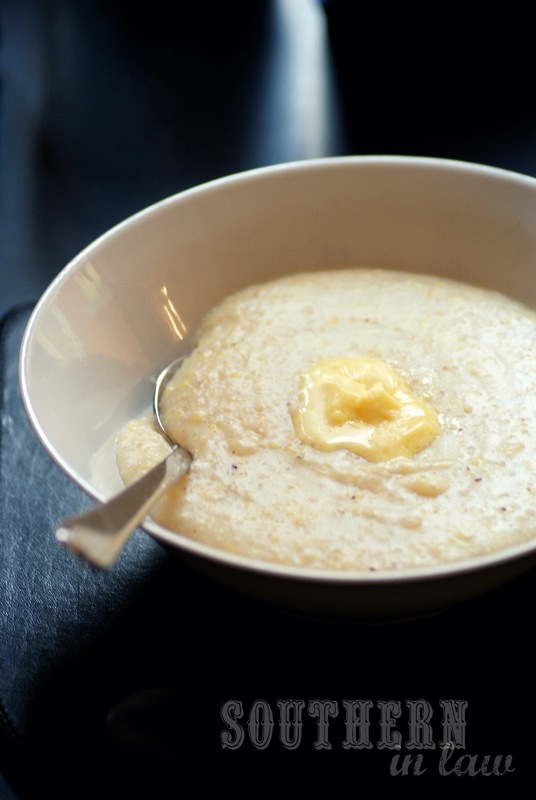 Pour grits into a bowl and top with butter or toppings of your choice. So tell me, do you like sweet or savoury breakfasts? I'm a sweet girl at breakfast time, whilst Jesse is happy with either - but when it comes to grits, do not make them sweet if you're feeding them to him! You really hit this one out of the park! I love creamy grits and your recipe looked like it turned out absolutely perfect! Toss some grilled shrimp on there, and I'd be in heaven!! That's the best thing about grits - you can top them with anything! They look delicious. I love my grits creamy as well. I will be trying this for sure. I prefer my grits with just butter and sometimes i cut my bacon up on them. Awesome. Thanks. Definitely, Christy! I'm so glad you liked them!